WebMD shared that one-third of children in the U. S. are overweight or obese, and this number is continuing to rise. Children have fewer weight-related health and medical problems than adults. 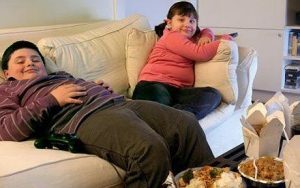 However, overweight children are at high risk of becoming overweight adolescents and adults, placing them at risk of developing chronic diseases such as heart disease and diabetes later in life. They are also more prone to develop stress, sadness, and low self-esteem. Children become overweight and obese for a variety of reasons. The most common causes are genetic factors, lack of physical activity, unhealthy eating patterns, or a combination of these factors. Only in rare cases is being overweight caused by a medical condition such as a hormonal problem. A physical exam and some blood tests can rule out the possibility of a medical condition as the cause of obesity. 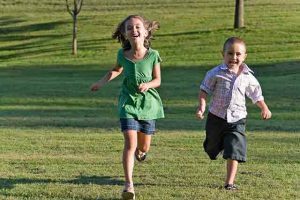 A child’s total diet and activity level play an important role in determining a child’s weight. 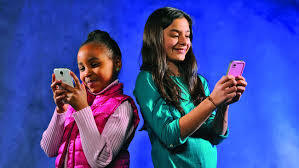 Today, many children spend a lot of time being inactive. For example, the average child spends approximately four hours each day watching television. As computers and video games become increasingly popular, the number of hours of inactivity may increase. Reuters shared that for teen girls, being called “fat” by friends or family may contribute to later developing eating disorders, and the harsh word from family members seems to carry the most weight, a recent U.S. study suggests. Weight stigma – the negative stereotypes, social devaluation and pervasive mistreatment of heavier individuals – is strongly implicated in disordered eating, the research team writes in the Journal of Adolescent Health. 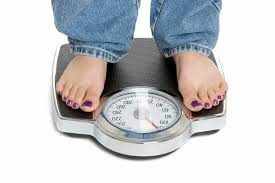 “How we talk about weight – especially with young girls – can have really negative effects on mental and physical health,” said lead author Jeffrey Hunger, a psychologist at the University of California, Los Angeles. The Center for Disease control shared that kids learn better eating habits when schools provide healthy foods. Learn what you can do to promote nutritious foods at your school. Most US children attend school for six hours a day and consume as much as half of their daily calories at school. Kids who eat healthy foods at school learn better lifelong eating habits and are readier to learn. Schools play an important role in shaping lifelong healthy eating habits by offering meals with important nutrients. Many schools provide students with meals through federal school meal programs including the National School Lunch Program and the School Breakfast Program. All students can participate in school meal programs. Some students can receive free or reduced-price meals. School meals offer milk, fruit, vegetables, whole grains and key nutrients like calcium and fiber. Learn more about healthy eating in schools and the benefits of school meals. Check out this info on the Smarter Lunchrooms Movement! Healthy students are better learners. Research shows that nutrition affects student achievement. Student participation in the School Breakfast Program is associated with higher academic grades and standardized test scores, reduced absences, and improved memory. This fact sheet[480 KB] shows the connection between eating habits and academic grades. More information on the link between health and academic achievement can be found here. Katherine Martinko wrote for Tree Huggers that it comes as no surprise that kids these days are spending less time in nature than previous generations did, but it’s always alarming when casual observations are cemented by formal research. A new study out of North Carolina State University and Clemson University has found that middle-school students, even those living in rural areas, are spending more time indoors and less outdoors. The culprit? Screens. College of DuPage Nursing Student Clare Mayer shared that wanting to be healthy is easy to say, but may not always be easy to do. 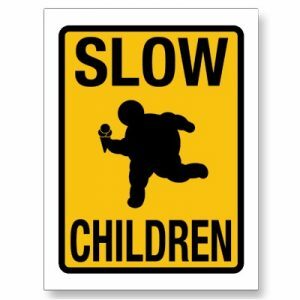 Children have busy schedules, and once homework is done, they often like to sit on the couch and turn on the TV, go in front of a computer, or get a bite to eat. Yet, each of these choices has potentially harmful effects on health. Healthy Kids (2018) suggests several strategies to help kids to stay active and healthy. First, make time to exercise. Exercise does not have to mean weight lifting or strenuous activities. Exercise as simple as taking a walk, playing at a park, riding a bike, or any activities that involve physical work qualify as exercise. Kids love to explore; one idea that may be enjoyable is to visit a forest preserve so kids can walk around and look for treasures, cool looking rocks or leaves, interesting plants or nuts that have fallen from trees, or even little creatures, and some of these treasures they may even be able to bring home. Writer Pete Alman wrote for Healthy Lombard that since the 1970s, the number of children who struggle with childhood obesity has more than tripled. To put this another way, about one in five children between the age of 6 and 19 were obese according to 2015-2016 data. Unfortunately, these statistics have stayed just as alarming as time has gone on. With these statistics in mind, it is absolutely crucial that we take steps to prevent childhood obesity. Luckily, that is possible. Childhood obesity isn’t something we just have to accept and move on. In fact, there are a handful of powerful ways that childhood obesity can be prevented. Don’t forget to Display Your Teal Pumpkin Today! 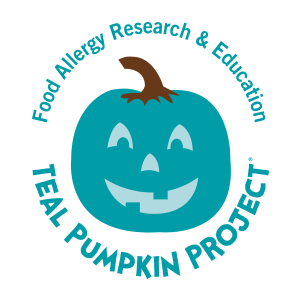 Born out of one mom’s desire to help ensure that children with food allergies would not feel left out on Halloween, the Teal Pumpkin Project®, now in its fourth year as a national awareness campaign led by Food Allergy Research & Education (FARE), has spread far and wide – reaching millions across the U.S. and beyond — in an effort to help create a happier, safer Halloween for all. For millions of children with food allergies and their parents, the Halloween trick-or-treating tradition can sometimes be fraught with anxiety because many candies that are handed out contain major food allergens such as milk, peanuts, tree nuts and wheat. FARE’s Teal Pumpkin Project promotes safety and inclusion for all trick-or-treaters by encouraging people to provide non-food treats on Halloween. A pumpkin painted teal, the color for food allergy awareness, signals that children will find a fun, non-food treat that anyone can enjoy. http://healthylombard.com/wp-content/uploads/2017/10/teal.jpeg 392 700 Jay Wojcik http://healthylombard.com/wp-content/uploads/2016/08/hl-logo.png Jay Wojcik2018-10-31 04:51:222018-09-22 10:42:14Don't forget to Display Your Teal Pumpkin Today! 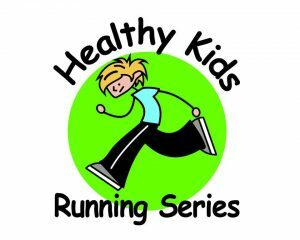 Healthy Lombard was proud to partner with Healthy Kids Running Series, a national, community-based non-profit that provides a fun, inclusive, five-week running series for ages 2-14 designed for kids to get active, experience accomplishment, and lay the foundation for a healthy lifestyle. We look forward to working with them again next year. They have another activity that kids can participate in right now! They are hosting a Facebook Sharing Contest running through November 5th! Anyone who enters will have the chance to win a brand new pair of New Balance 860v9 sneakers in their respective size and gender! In order to enter, head over to Facebook, like the Healthy Kids Running Series page, and share the video pinned at the top of our page to your own timeline or page!! Have You Heard of Teal Pumpkin? For Westlake, OH mom Vikki Meldrum, the Teal Pumpkin Project has already provided an unforgettable experience for her and her 4-year-old daughter Lyla. Meldrum spread the word about the initiative among her neighbors, who have now shown their support for the last two years, with at least 30 teal pumpkins in her own neighborhood. Launched nationally in 2014, the Teal Pumpkin Project has attracted supporters from 50 states and more than a dozen countries. The campaign was inspired by a local awareness activity conceived by Becky Basalone and run by the Food Allergy Community of East Tennessee. FARE thanks the following Teal Pumpkin Project official 2017 partners: Ahold USA (including its brands Stop & Shop, Giant Food and Giant/Martin’s), CVS Pharmacy, Michaels and Savers. For more information about the Teal Pumpkin Project, visit www.tealpumpkinproject.org. For more information about food allergies, visit www.foodallergy.org. http://healthylombard.com/wp-content/uploads/2017/10/teal.jpeg 392 700 Jay Wojcik http://healthylombard.com/wp-content/uploads/2016/08/hl-logo.png Jay Wojcik2018-10-12 04:37:562018-10-09 16:06:27Have You Heard of Teal Pumpkin? The YMCA of Metro Chicago shared that September is Childhood Obesity Awareness Month, and while the dangers of childhood obesity are well-chronicled, many families need support in changing their habits. That’s why the YMCA of Metro Chicago — a leading community-based organization dedicated to improving health — wants families to understand the dangers of childhood obesity and ways to reverse course through improved eating habits and increased physical activity. According to the Centers for Disease Control and Prevention (CDC), the prevalence of obesity has remained stable at about 17 percent and affects about 12.7 million children and adolescents. Today, obesity affects one in six children and one in three are overweight, which poses greater risks for many health problems such as type 2 diabetes, high blood pressure, high cholesterol, and some cancers. For years, parents have heard the dangers of childhood obesity but making the necessary lifestyle changes — as a family — remains the biggest barrier to real progress. Together we can learn healthy behaviors, and community-based organizations like the Y can provide a helping hand.